Discover "Higher" by Greg Golden! 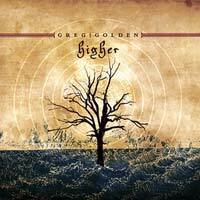 I am very pleased to make you discover Greg Golden with his amazing album "Higher". Greg started playing in bands at the age of 12 and made his way onto the club scene at 15. 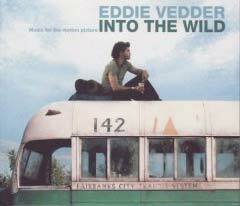 His major music influences would have to be bands like Toto, Kansas, Journey, Foreigner, and Yes. He toured with many independent bands across the Midwest during the ‘80s and early ‘90s then thinking he needed to have a fall back plan, the music thing does not works out for the long-term, he studied finance in school and for the past 8+ years have served as Presdient and CEO of Golden Capital Management, a firm he founded in 1999. Greg never stopped playing music and Last year, came the project to record an album inspired by his three daughters – Miranda (11), Emily (9), and Abigail (6). He was trying to find a way to help raise money for their school and thought that by recording a CD he could sell it and all the proceeds would go to the school. It has been a lot of fun, sharing the songs with others and hearing their feedback on which songs they liked the best. "Higher" is very enjoyable. Good music, great vocals and songs that will encourage and energize with a positive Christian message of hope and faith! 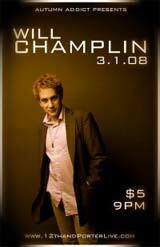 Will Champlin will performe on March 1st mars 2008 at 21:00, 114 12th Ave. N, Nashville, Tennessee. OK, if you're not resident of Nashville, that's not a big information but an idea to go at Will's myspace page and discover his musical world! Awesome! Jimi Jamison (Cobra, Survivor) is actually working on a new album with ex-bandmate Jim Peterik. Stay tuned... On March 14th, Frontiers Records will release "Rock the Bones Vol. VI", the new volume of the sampler CD, which proved to be a very important promo tool and very popular among the fans. It will include songs from up and coming album of Jimi among other artist such as Asia, Jorn and Dokken. Regarding Hemifran.com, singer-songwriter Ned Doheny (who was one of the first artists signed to Asylum Records in the early seventies) is working on his new album in a Los Angeles studio. Final mixing will be done this weekend. 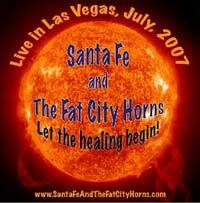 Santa Fe & the Fat City Horns released their new Live record "Let the healing begin"! The new cd by Santa Fe & the Fat City Horns is officially released. A FREE downloadable BONUS song, that isn't on the CD, is available HERE! That is what Santa Fe & the Fat City horns is about. The band is a throw back to all the horn bands that influenced us all growing up, as well as a tribute to our musical heroes and friends mixed with our own music and arrangements. Old School and raw, but polished with pride and discipline. I wanted to have the enthusiasm and excitement I had when I was 17 years old about my music! The first band meeting I had went like this: “I want each of you to bring in a piece of music that you have always wanted to play but couldn’t get away with in a lounge, showroom, or any other commercial gig. It can be an original piece, a cover, whatever. And then we’re going to have some fun making it our own”. The band has never had publicity or marketing of any kind, and continues to fill the rooms it plays in by word of mouth alone. Most of the audiences are made up of talented musicians and entertainers from all walks of life, and Jerry has been known to remarked more than once that “half the audience could do this gig”, and if you look at the people that make up this band's audience, you know he means it. Great Music is medicine for the heart, soul and mind,.. and Santa Fe & T.F.C.H. brings it! 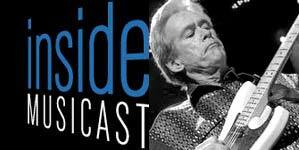 Podcast interview with Bill Champlin at Inside MusiCast! Bill Champlin is a man who has experienced musical success on his own terms. 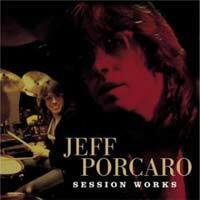 Over the years you’ve known him as a solo artist, session musician, vocalist, and longtime member of the band Chicago. From the very start of his career, you’ll find interesting detours that have taken him to places where other musicians only wish they could experience. From the early psychedelic era of The Sons of Champlin in San Francisco, to laying down smooth vocal tracks with David Foster, to his contributions in Chicago, Bill found his way to his own music by listening, learning, and absorbing from the very best. The fact is, if you step back to see the breadth of his talent, at the core you’ll find a man who has been gifted with one of the most soulful voices that has helped define what R&B is today. That's why we're eagerly awaiting his new album which will be released later this year. Inside MusiCast is pleased to welcome Bill Champlin. 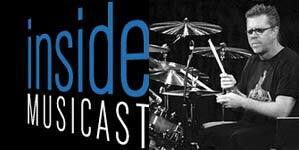 Podcast interview with John Robinson at Inside MusiCast! Over the years there have been a handful of drummers that have reached the ultimate plateau of first call rhythm makers who are called on to deliver the best grooves for the greatest producers and artists. If you’re thinking of a few, mostly likely John Robinson is on the list. From Michael Jackson’s 'Off The Wall' to Quincy Jones’ 'The Dude'; from Smokey Robinson’s 'One Heartbeat' to Anita Baker’s 'Rapture'; from Joe Sample’s 'Spellbound' to Ricky Lee Jone’s 'Flying Cowboys', you’ll find his uniquely experienced groove added to each hit. Because of his ability to deliver the right feel for the right project, he has been one of Quincy Jones’ go-to drummers since 1979, and also Barbra Streisand’s since 1993. He’s been pegged as one of the most recorded drummers in history, and a look at his discography will leave you convinced. As a global drummer, J.R. Robinson is leaving his mark not only in the U.S., but also internationally. Inside MusiCast is pleased to welcome John 'JR' Robinson. The site of new record Label ZINC MUSIC Officially launched today! "Zink Music is a record label concentrating on the classic Westcoast sound and the soft and smooth side of Melodic Rock/AOR, we are doing both new albums and re-releases. We started slowly with the release of the debut EP from Swedish act CC-Rock, a high class release with top notch production and skilful musicianship. The band is looking backwards to the big sounds of the eighties and it is melodic and highly addictive. On March 12, 2008 we will release our first full-length albums; first out is Peter Friestedt with the follow-up to his LA Project, it features amongst others Joseph Williams, Bill Champlin, Randy Goodrum, Lou Pardini and Bill Cantos. We also have Daniel Andersson on board; his debut album “Days in L.A.” will be released on the very same date. Daniel’s album is true to the classic Westcoast sound, be ready to be amazed! We are also excited to announce the release of the brand new studio album from Westcoast legend Robbie Dupree; the album is entitled “Time and Tide” and will have its European release on the Zink Music label on April 23." Stefan Polzer, Zinc Music foundator. 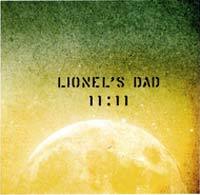 "Mark T. Williams has just released his 7th solo effort as the ablum entitled "11:11" featuring 13 songs, under the name of "Lionel's Dad" as usual. Some are very experimental and/or very rough-edged, and some are of quality. I would recommend you to listen to the second track "I Long For You", well-produced mid tempo ballad type song, reminding you of his young brother, Joseph Williams. The following "On A Holiday" would be worth listening. After the long lead-in with sax and guitar, mid-80's vein good Mark's vocal would follow. You must not ignore the track # 6. Yes, "Top Down Girl" written with and originally performed by his young brother on Joseph's album "3". Funky powerful rock tune "I Waited" would be a decent song." 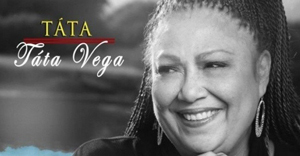 Tata Vega is working on her new record! Producer Patrick Leonard (most known for his work with Madonna, Peter Cetera and Third Matinee) called and asked Tata to do some background vocals on the next Elton John project.